Chiang Mai Municipality will be closing the Art and Culture Hall temporary during October 28 - November 5, preparing to welcome Her Royal Highness Princess Maha Chakri Sirindhorn who will be graciously presiding over the Grand Opening of the Chiang Mai Art and Cultural Hall on November 5. The itinerary will commence at 9:45 a.m., when Her Royal Highness will arrive at the Royal pavilion and will pay respects at the Three Kings Monument. Her Royal Highness, after cutting the ribbon, will visit all the rooms in the Art and Culture Hall before stopping at the Phra Pok Klao room where she will sign the visitor’s book. Chiang Mai Mayor Boonlert Buranupakorn will present Her Royal Highness with a souvenir and Chiang Mai Governor Pisit Katephasuk will present a report. The official ceremonies will end with Thai folk dances and a presentation of Ban Wua Lai silverware products before Her Royal Highness’ departure. Wing 41 has built the Sri Nakorn Ping Cultural Market in Lanna style buildings to provide venues for selling souvenirs, cultural activities, a morning market, an evening market, and beer garden. Sudchai Kankulsunthon, project’s organizer, said the aim is to provide a central venue for all products from local traders in the One Tambon-One Product project, where these can be displayed in an ancient Lanna atmosphere. The market is also known as the Gad Gong Bin 41 (Wing 41) Market. In the main building, there are three sections which cover Lanna heritage, Lanna foods and Lanna culture. The area around the building is used every morning and evening for fresh food markets. In the evening, the grounds are used for the beer garden, with a199 baht per person beer garden buffet on offer. A year was spent in the planning, leading up to the One Tambon-One Product Fair, complete with exhibits of Lanna art and culture. The Lan Khantoke grounds will be the venue for the Lanna wedding fashion show on Dec 14, with promotion from the Chiang Mai provincial governor’s office and Khum Khantoke. The fashion show includes ancient Lanna costumes and “Kin Khaek”, the original Lanna wedding ceremony display. The Lanna wedding dress contest has 20,000 baht for the winner and 10,000 baht for the first runner-up and 5,000 baht for the second runner-up. There will also be an exhibition of famous wedding couples in Chiang Mai from the past and Lanna folk dances about legendary Northern Thai couples, for example, Noi Jai Ya - Waen Kaew and Lord Suwat - Buakam. Lanna clothes have an outstanding history, and remind everyone about the past Lanna civilization. For over one hundred years, traditional clothes were worn by our ancient peoples, in many tribes such as Tai Yuan, Tai Lue, Tai Kern, Tai Yai, and other hill tribes. The Thai Culinary course project for foreigners will be launched before the end of the year at Chiang Mai University. The university’s Humanities Academic Center has planned the Thai Culinary Center with the aim of imparting knowledge of Thai food, especially for foreign tourists. Students will also receive Thai culinary certification after finishing the course. The manager of this project guarantees that all the Thai dishes are authentic Thai food with the original taste. “Thai food is one of the favorites in the world because of its varied tastes and healthy ingredients but Thai food can be misunderstood by cooks who do not know about its origin. This project is a way to inform foreigners who want to know about the real Thai tastes and recipes,” he said. The Thai culinary curriculum is divided into 4 courses. In each course, there will be 5 main dishes and a dessert. The participants will be expected to study and will receive a Thai cookbook. The recipes include red curry with roasted duck (gaeng ped pet yang), hot and sour prawn soup (tom yam kung), holy basil with chicken (kaprao kai), dumpling in coconut cream (bua-loi) and sweet sticky rice and mango (khao neo mamuang). The target groups are ex-pats living in Chiang Mai, foreign students in Chiang Mai University, tourists and those who come to Thailand specifically to learn about Thai food. Students can get free transportation from their hotels or residences to the Thai Culinary Center at Chiang Mai University. For further information, please contact the project manager of the Thai Culinary Center: 01 595 6245 or the Humanities Academic Center, Chiang Mai University: 053 942 308 or 053 942 303. Chiang Mai not necessarily renowned as a city for high-flying concerts and musical events, but last Saturday evening’s concert the Amari Rincome Hotel was thankfully received and warmly welcomed. The hotel’s general manager, Marc Dumur organized an evening for music enthusiasts by contracting the internationally acclaimed “Kocian String Quartet” from the Czech Republic. Just under a hundred guests enjoyed three lovely musical pieces, Schubert’s Quartetsatz, Mozart’s String Quartet in C Major, and Dvorak’s String Quartet in F Major. Amari Rincome GM Marc Dumur (right) handed out bouquets of flowers to the Kocian Quartet as a show of appreciation for their performance. The Quartet’s perfect unanimity, plenty of forthright thrust, and clean musicianship satisfied both ears and senses. 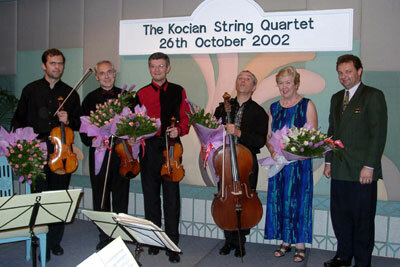 The Kocian Quartet was founded in 1972 and trained by Professor Antonin Kohout, cellist of the Smetana Quartet. In 1975 the group took the name of the violin virtuoso and teacher Jaroslav Kocian [1883- 1950] who was, like Jan Kubelik, a world famous pupil of the violinist Otakar Sevcik. The Quartet has played a prominent role in Czech concert life, in the programmes of the Prague Spring Festival, cycles of the Czech Philharmonic and the Czech Society for Chamber Music. They have toured in 35 countries in Europe, USA and Japan, and are now en route back home. Speaking with second violinist Milos Cerny after the concert, Chiangmai Mail learned that the artists had enjoyed this evening very much, and appreciated especially the many Thai nationals in the audience. Mr. Cerny also mentioned that they are looking forward to returning to Thailand and Chiang Mai, provided that their busy schedule will allow it. 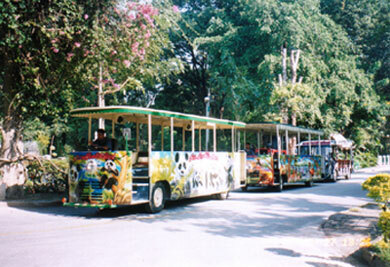 The Chiang Mai Zoo has introduced a new bus service to get visitors around the zoo’s 500 rai in style and comfort. The service comes complete with tour guides giving specific information on the animals. Chiang Mai Zoo’s new buses, decorated with animal cartoons, provide an easy way to get around and see all the attractions. There are five bus stops where passengers can hop off and see the animals and the natural environment, before hopping back on the bus to resume their bus journey. Since the zoo covers an area of 500 rai, this service is providing an easy and comfortable way to see everything in the zoo. Khum Khantoke, through Watchara Tantranon, has announced plans for a “Lanna Valentine’s Wedding” to promote Lanna wedding dress styles and to introduce the Lanna style wedding ceremony on Valentines’ Day next year. The Kin Khaek or Thai Lanna wedding ceremony will be held for 50 couples who want to join this mass wedding. Khum Khantoke will provide a free wedding celebration for one couple from each district. The bridal couples can invite 10 guests and pay only 300 baht each for additional guests. The other 30 brides and grooms can join the ceremony by paying 30,000 baht for 50 guests or 50,000 baht for 100 guests. All the couples will be provided with the costumes and all the paraphernalia necessary. Traditional Lanna wedding celebrations in times past were events of remarkable beauty and refined atmosphere, a stunning experience both in terms of costume and ritual for the bridal couple. On the Valentine’s Wedding Day the brides and grooms’ customary wedding parade will start from the front of Carrefour Department Store at 7 a.m., led by two elephants, which are the symbol of Chiang Mai, and followed by 48 tricycles, leading to the Singha grounds where the guests will be waiting. The ceremony will proceed according to the Lanna ritual until late at night. The Municipality will hold two local competitions during the upcoming Yipeng Festival, according to Boonlert Buranupakorn, the mayor of Chiang Mai. The first is a bamboo rafting competition, which will be held on November 19. Bamboo rafting is a local custom of Chiang Mai, and it is felt that holding the competition is a way to conserve the local tradition and increase its popularity, as it used to be in the past. In the competition, 4 person teams will race rafts made of bamboo, 3 meters wide, 6 meters long and 2 stories high. The competition will start in front of Muang Mai Market and go along the Ping River. There will be cash prizes and trophies for the top finishers. For more information, contact Chiang Mai Municipality, tel. 053 252 478 ext 485, or fax 053 251 476. The Lan Khantoke grounds will be the venue for the Lanna wedding fashion show on Dec 14, with promotion from the Chiang Mai provincial governor’s office and Khum Khantoke. The fashion show will include ancient Lanna costumes and “Kin Khaek” the original Lanna wedding ceremony display. The event will include a Lanna wedding dress contest, with 20,000 baht up for grabs for the winner, 10,000 baht for the first runner-up and 5,000 baht for the second runner-up. There will also be an exhibition of famous wedding couples in Chiang Mai from the past, and Lanna folk dances about legendary Northern Thai couples, including Noi Jai Ya - Waen Kaew and Lord Suwat - Buakam. Lanna clothes have an outstanding history, and remind everyone about the past Lanna civilization. For over one hundred years, traditional clothes were worn by our ancient peoples in many tribes such as Tai Yuan, Tai Lue, Tai Kern, Tai Yai, and other hill tribes. The Fourth International Arts Conference of the Traditional Media Unit (TMU), a branch of the International Christian Media Conference, will be held from November 16-24, in the northern resort city of Chiang Mai. Approximately 40 Christian artists from around the world are expected to attend the gathering. The conference logo was created by local Chiang Mai artist, Sawai Chinnawong of McGilvary Seminary. 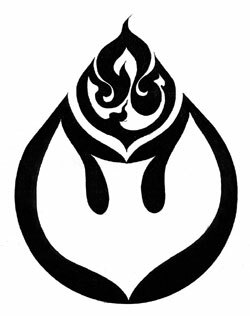 It combines images from Christianity and Buddhism, representing the lotus and the dove, beneath a burning flame to symbolize the conference theme. The conference will begin with a celebratory dinner and performance by the drama troupe from the Christian Communication Institute of Payap University. Seminars and workshops will be held during the week on topics such as “marketing your artwork” and “bringing together traditional and new media”. In the evening, artists will have the opportunity to share with the group their artistic creativity and cultural diversity through song, dance, painting, sculpture and poetry. Participants will also be introduced to Thai culture and art, through field trips and activities including the colorful Loi Krathong festival. An art exhibition to be held at McGilvary Seminary will be open to the public. The International Christian Media Conference is an organization dedicated to the creative use of media in furthering the message of Christ in the 21st Century. Previous TMU art conferences have been held in Bali, Indonesia, and Osijek, Croatia.